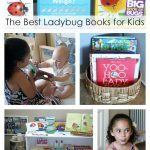 I love children’s books and love adding to my best books for kids series. For our backyard bird unit, we’ve enjoyed looking at a variety of beautifully illustrated bird books as well as bird books with beautiful photographs. 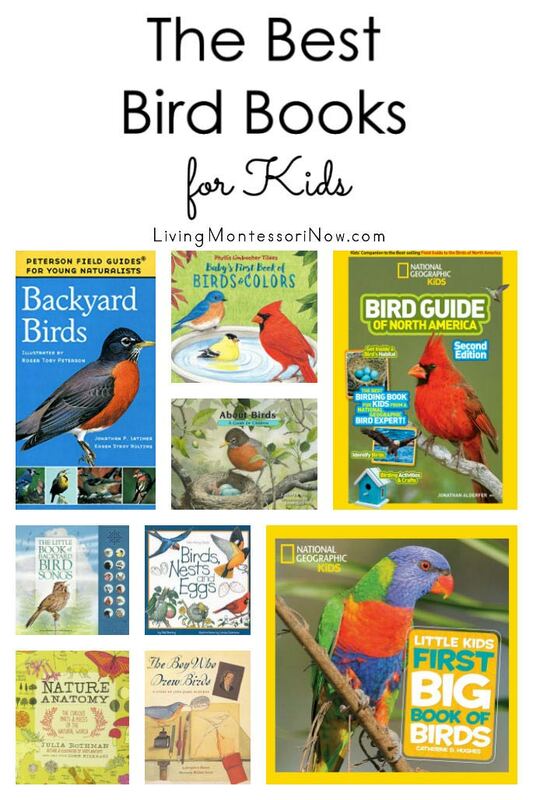 Today, I’ll share some of my favorite bird books for kids. 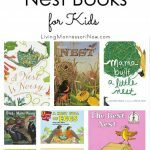 Note: be sure to check out my posts with the best nest books for kids and the best duck and duckling books for kids, too. Baby’s First Book of Birds and Colors is fabulous! 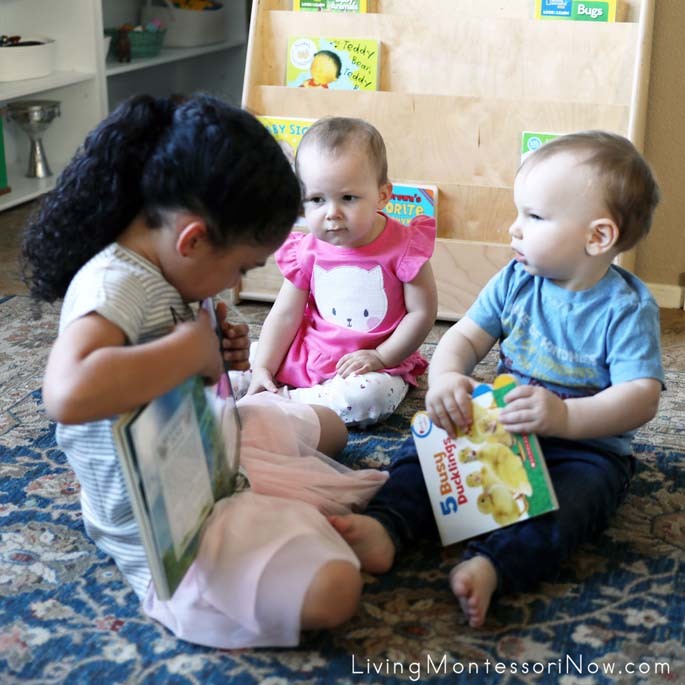 While it isn’t necessary to have a themed book for babies and toddlers, a good-quality book will help engage their interest and add to your library. This book has two-page spreads with birds of the same color on each spread. The only words are the color of each spread, the type of birds shown and whether each bird is male or female (a concept that will be interesting to adults as well as children)! I keep my themed books in a few different places in the room. On my top shelf, I have About Birds (a beautifully illustrated beginner’s guide to birds for ages 3-8) and The Random House Children’s Encyclopedia (wooden cookbook holder). The children’s encyclopedia is one we had from when I homeschooled my now-adult children. It’s available used very inexpensively, although not everything will obviously be current. On the middle shelf, I have Backyard Birds (Peterson’s Field Guides for Young Naturalists). 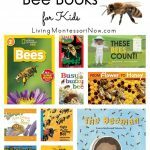 This is a detailed field guide for kids that’s recommended for ages 8-12. Younger children could enjoy the drawings and photographs and learn a variety of details, too. 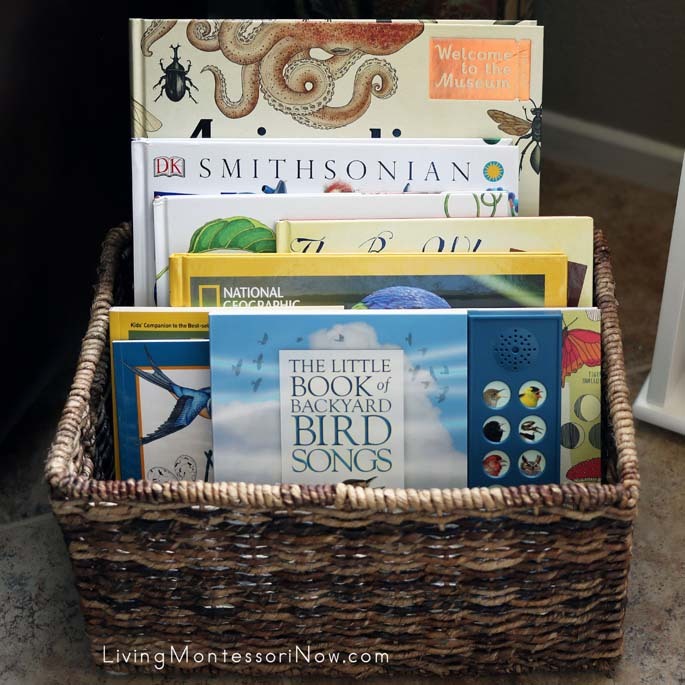 I have a book basket beside the shelf with more Montessori-friendly nonfiction books. The Little Book of Backyard Bird Songs is one of the very few items with a battery that I like for young children. 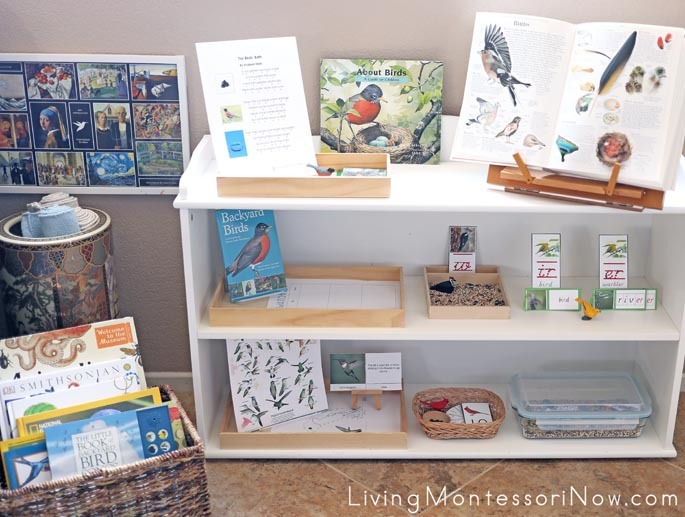 It’s an inviting way for children to learn to identify a variety of bird songs. Not only is there a clear image and description of each bird but the book includes each bird’s scientific name, where found, what it feeds on, its nest, its eggs, adult characteristics, and length. Of course, the best part is the set of buttons with a bird-head button that plays each bird’s unique song. 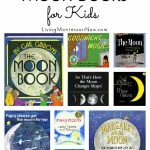 Recommended for ages 5-9, although I love it for toddlers on up! My 5-year-old granddaughter, Zoey, loves to teach. Here, she’s sharing The Little Book of Backyard Bird Songs with her 15-month-old sister, Sophia, and 12-month-old cousin, Caleb. Too sweet! Of course, don’t forget that Instagram is often called a “highlight reel.” I’ll share this photo on Instagram, but it’s important to realize that there were a number of moments that didn’t look at all like this. There are two young toddlers here, and silly chaos ensues during much of any “group activity” with them! It’s all good and part of the process! That said, Sophia loves this book and gets it from the shelf each day she comes to my house. She laughs as she presses the buttons to hear the bird songs. The book is very cool! 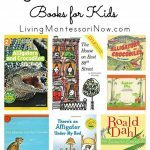 I shared this in my post with favorite nest books. I don’t think any study of birds would be complete without reading about John James Audubon. The Boy Who Drew Birds: A Story of John James Audubon is wonderful. This Montessori-friendly book is recommended for ages 4-7. Birds, Nests and Eggs has lots of information about 15 common birds along with a few bird-themed activities. The illustrations are clear and inviting, and the information is easy to understand. Recommended for ages 5-10, although I think many preschoolers would enjoy it as well. Nature Anatomy: The Curious Parts & Pieces of the Natural World by Julia Rothman can be purchased individually or as part of the Julia Rothman Collection. The collection includes Farm Anatomy: The Curious Parts and Pieces of Country Life and Food Anatomy: The Curious Parts & Pieces of Our Edible World. I really recommend the entire collection. It’s how I purchased my books. The collection is in a slipcase with 10 framable prints. Zoey loves these books even though they’re not children’s books. The bird chapter is perfect for any bird unit with its beautiful illustrations. 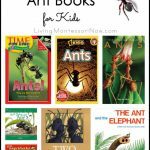 I include one (or more) of these books whenever it fits our current unit. Animalium is another of Zoey’s favorite books. I love this for any study of animals. It’s a beautiful book that’s recommended for ages 8-12 but that can appeal to many ages from preschoolers through adults. 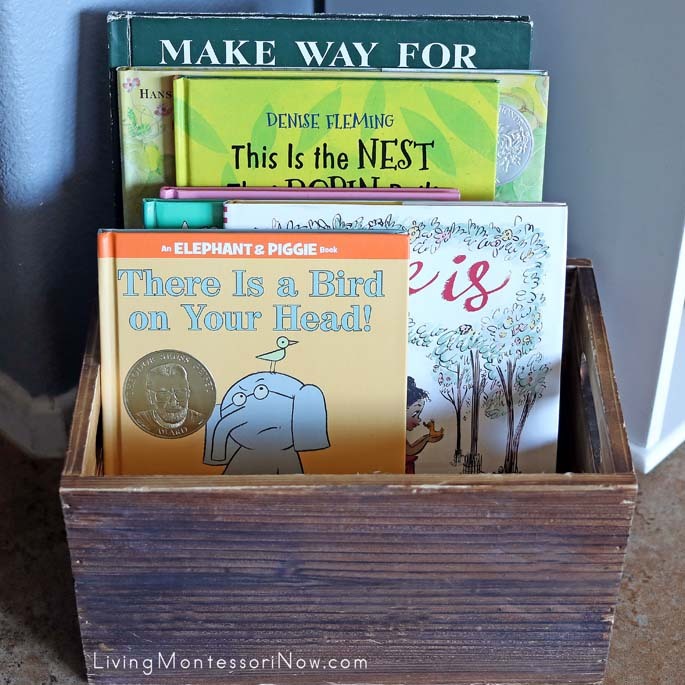 My fiction books about birds (in this book basket) are a variety of Montessori-friendly books and books that aren’t Montessori-style books but are simply fun. And don’t forget Make Way for Ducklings! Yes, this has talking ducks, so it isn’t a Montessori-style book. It is a Caldecott Medal book with a lovely story and one of my favorite children’s books. We still have our copy from when my now-adult children were little. (Recommended for ages 3-7.) Be sure to check out my free Make Way for Ducklings do-a-dot printable and Make Way for Ducklings movable alphabet.